Rosewood Ranch is a treatment center for adults and adolescents that specializes in treating eating disorders and co-occurring disorders. Rosewood has been providing high-quality treatment services for over two decades now for eating disorders such as anorexia, bulimia, binge eating disorder, and others. It also treats co-occurring disorders of alcohol and drug addiction, depression, anxiety, PTSD & trauma, self-harm, borderline personality disorder, OCD, and bipolar personality disorder. The center provides a comprehensive continuum of care from a fully-licensed behavioral health inpatient facility to residential, transitional, and outpatient programs. Each patient is assigned an individualized treatment plan based on his/her specific needs, psychological modalities, and other factors. As the patient’s treatment progresses, the plan is updated and re-evaluated to allow for smooth transitions among the different programs. The staff at Rosewood Ranch are experts in their respective fields who adopt a holistic recovery approach to treat the whole person instead of just the disease or symptoms. A number of therapeutic activities and therapies that are primarily based on the 12 steps are utilized to treat clients psychologically, emotionally, and physically. The Aftercare and Relapse Prevention Programs provide clients with the skills and support necessary to achieve long-term recovery while preventing relapse. 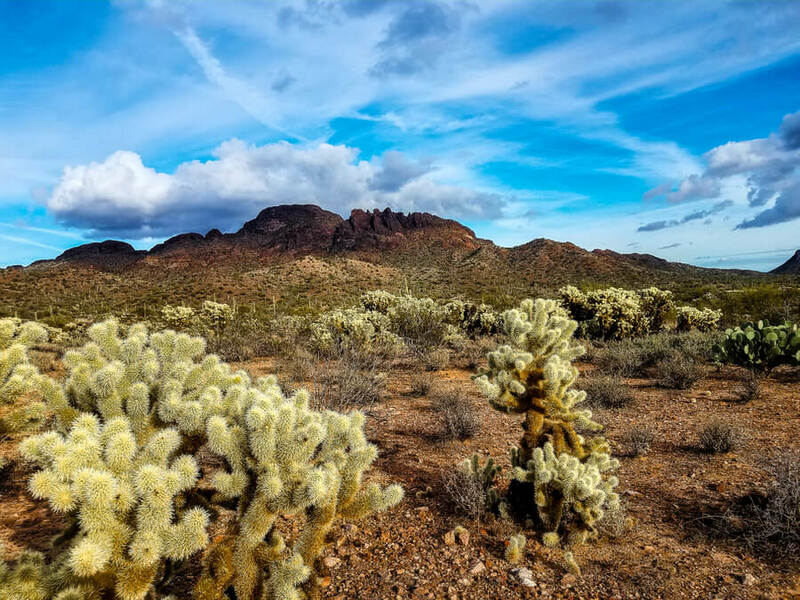 Rosewood Ranch is located on beautiful 13-acres of land high in the Sonora Desert at a convenient distance from downtown Phoenix, Chandler, Mesa, and Flagstaff. The campus offers breathtaking views of the Bradshaw Mountains in a peaceful and comfortable environment. The buildings are built in stone and brick architecture. Patients share rooms which are furnished with twins beds, desks, and chairs for each client. There are common rooms and therapy rooms all of which are decorated in desert hues and tones. There is a beautiful pool at the facility for residents. The campus offers desert trails, gardens, gazebos, and gorgeous views which clients can utilize to indulge in outdoor activities. Since the facility treats eating disorders, provision of healthy and nutritious foods is of utmost importance. All ingredients for food are locally grown at the campus. The in-house, highly trained chef prepares meals for clients three times a day. Each resident’s dietary needs are assessed by a licensed dietician who prepares specific meal plans for each one. The chef then prepares those foods which are served in the cafeteria where all residents eat in groups supervised by a nurse. Residents are also offered three snacks in between the meals. Rosewood Ranch has the honor of being one of the most respectable treatment providers for eating disorders and co-occurring disorders in the country. It offers comprehensive and individualized treatment plans for adult men, women, and adolescents. The center offers intensive inpatient treatment to critically ill individuals whereas outpatient and transitional living services are also provided. The treatment programs offer different levels of care for patients. Each patient is assessed at the time of admission and placed at a particular level of care. During treatment, the patient’s progress is evaluated and he/she may be moved from one level of care to another. This smooth transitioning between levels ensures that patients are provided with a seamless continuum of care to heal them and help them in achieving lasting recovery. The aftercare and alumni support program further helps patients to return to their normal life and join society as healthy and productive individuals. Dena Cabrera has a Masters of Arts and PsyD in Clinical Psychology from the California School of Professional Psychology, Los Angeles. She is a member of the American Psychological Association, the Academy of Eating Disorders, and the International Association of Eating Disorder Professionals. She is also a Certified Eating Disorder Specialist with over 19 years of experience in this field. Dr. Amelia received her medical degree from Indiana School of Medicine. She completed her residency in Psychiatry at the University of Florida. She is board certified by the American Board of Psychiatry and Neurology. She is licensed to practice in the state of Florida and Arizona. She leads the Eating Disorders Programs at Rosewood Ranch and is directly involved in the psychiatric, medical, and neurological evaluation of patients. Kyle has a Bachelor’s degree in communications from St. Joseph’s College of Maine and a Master’s degree in community counseling from Argosy University, Atlanta. He has over 20 years of experience working with children, adolescents, and adults with psychiatric and behavioral health disorders. He manages operational and clinical services at Rosewood Ranch in his capacity as the Executive Director.